Talk about shooting yourself in the foot. Texas Chainsaw, the latest cynically-driven reboot/rehash/retread of Tobe Hooper’s masterful massacre, opens with a montage showing a series of short clips taken from its cinematic elder. We see 1974 Leatherface in all of his gritty glory, revving that infamous metal engine and thrusting it towards a rabble of victims without inducing so much as sliced finger. Ironically, John Luessenhop’s newest creation never exceeds the heights set by its introductory mosaic. The moment simply reminds us of the original’s greatness, a success that was never going to be on the cards for Texas Chainsaw. After all, this is nothing more than another cash ploy exploiting the historical coffers of the ailing franchise. Upon hearing about the death of a grandmother she didn’t know existed, Heather (Alexandra Daddario) and her mates pack into a minivan and venture over to Texas to pick up her inheritance. The trip conjures up a fifth wheel but other than that nothing of note arises. That is, until they reach Heather’s newly acquired mansion, a place that houses more than just expensive cutlery and creepy family portraits. 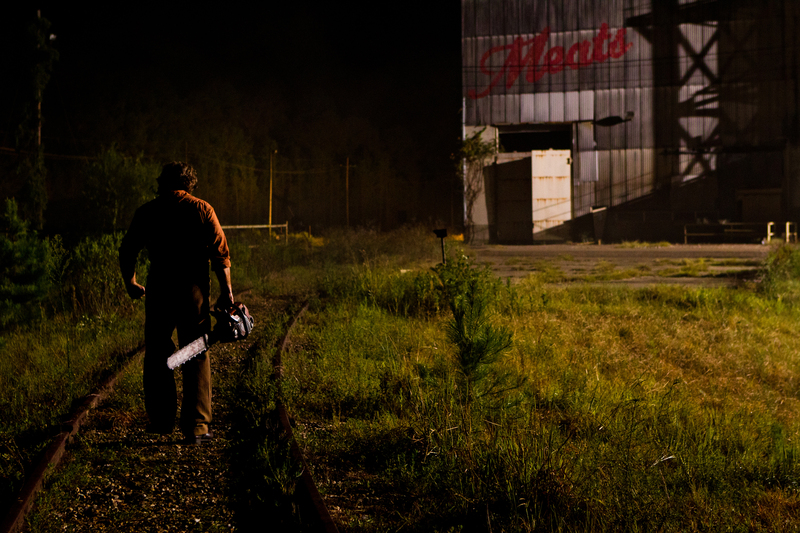 Despite expunging a budget of around $20 million, Texas Chainsaw does its absolute best to parade as an amateur visual (mis)treat. Blood splatters imported from the 300 school of imagery are unrealistic and out of sync with the surrounding picture. It’s a struggle not to chuckle awkwardly at Leatherface’s body-chopping skills, or maybe the fault lies not with our masked murderer but with the overworked visuals department. Luessenhop should really have learned from the gory restraint championed by the original — at least that way any potential embarrassments on the CGI front would’ve been kept to a minimum. Besides, a substantial decrease in violence for the sake of violence might actually have equipped the film with a sense of mature purpose, and also saved those sweat-dripping studio bosses a wad of cash. Given the amount spent and available contemporary technology, there’s really no excuse for this 2013 horror film to lazily produce cheap gore. Even worse than the visual continuity issues at hand are a whole heap of character continuity problems. There’s no avoiding the awfulness of those whose story we’re watching unfold. To phrase it justifiably bluntly, every single person on show is an idiot: the family lawyer who hands Heather her new house keys quite obviously knows there’s something iffy about the place, yet decides to bite his tongue; a police detective follows a trail of blood and wanders directly into mismatched danger, when halting five minutes for back-up would probably have been the more sensible action; whilst attempting to escape, the group decide waiting it out in a minivan that’s on its last wheels is a better idea than high-tailing it on foot. Watching the characters is painfully infuriating, even for a horror flick. Though it should be noted that “it’s a horror movie, what d’you expect?” isn’t a good enough excuse for poor characterisation. There is no excuse. People and plot, cinema’s most basic foundations, both crumbling here. Texas Chainsaw bursts at the seams with so many genre clichés that we begin to wonder if the screenplay has been written by an actual human being with a subjective mind, or a horror slot machine that lands on cherry every spin. In fact the commonalities can be as local as they come on occasion; on their minivan travels the friends pick up a wanderer. Sound familiar? The symbolism doesn’t necessarily lie in the ‘what’ of this moment, but rather the ‘who’. From an eerily disconcerting hitchhiker 40 years ago, to an insane runaway three decades later, we’ve now been landed with a Calvin Klein model. A sign of the times, perhaps. Ultimately the narrative leans towards a phoning — or cashing — it in attitude and, given the film’s title was rounded off with ‘3D’ during its cinematic run, cashing it in feels like quite an apt description. 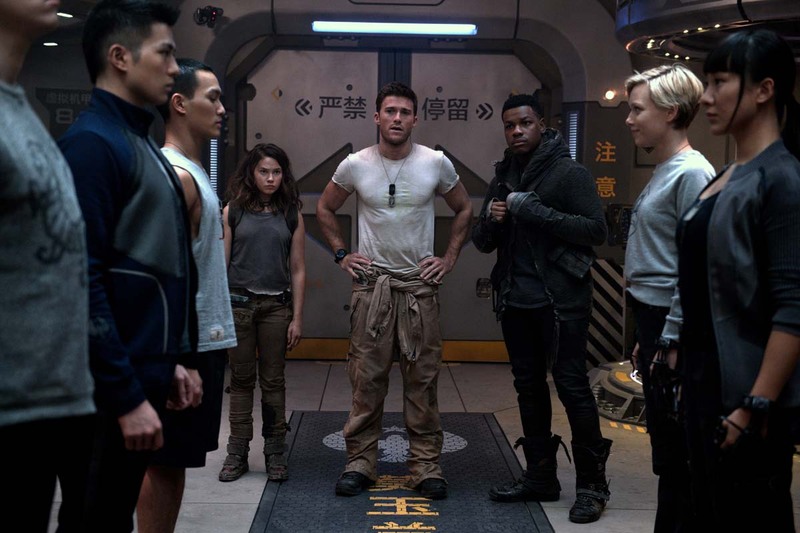 To give the filmmakers’ some credit, there is an attempt to sever conventional ties in regard to the franchise, but this come across as desperate rather than inspired. Truthfully, the angle only succeeds in tarnishing the authentically terrifying mantra laid out in The Texas Chain Saw Massacre. Rounding off the dismal outing is a handful of performances each lacking the same inspiration that those behind the camera are devoid of. The material might not be any good, but nobody manages to ascend the steps of unsullied. Alexandra Daddario is Heather and probably comes out less burnt than the others, but her talent far exceeds her display. Watch Daddario in True Detective to see a potential superstar. Heck she even gives a better account of herself in Percy Jackson and the Lightning Thief. Tania Raymonde likely wishes she’d stayed Lost. The only noteworthy point to make about her appearance is the inclusions of an incredibly gratuitous low-from-behind shot that’s only possible because her character ‘chooses’ to walk alongside a moving vehicle. (As opposed to travelling in it, like most normal folk do when they’re headed somewhere.) Trey Songz also shows up but doesn’t do any singing. 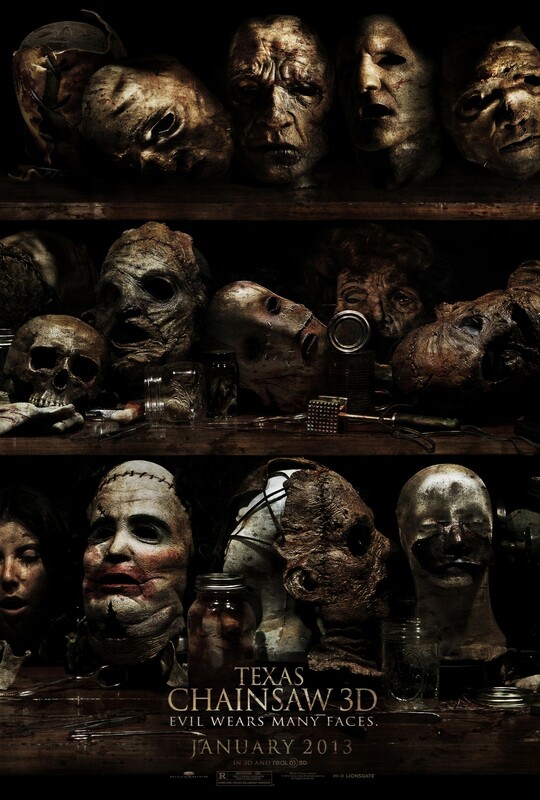 Texas Chainsaw is a project driven by financial gain and very little else. It shows, and in just about every aspect too. The film’s execution is sloppy, the narrative is terminally uninspired and most of the characters are borderline abhorrent. We don’t care at the beginning, and we care even less by the end. The only reason we don’t celebrate anyone’s demise is because that’d make us just as bad as them.